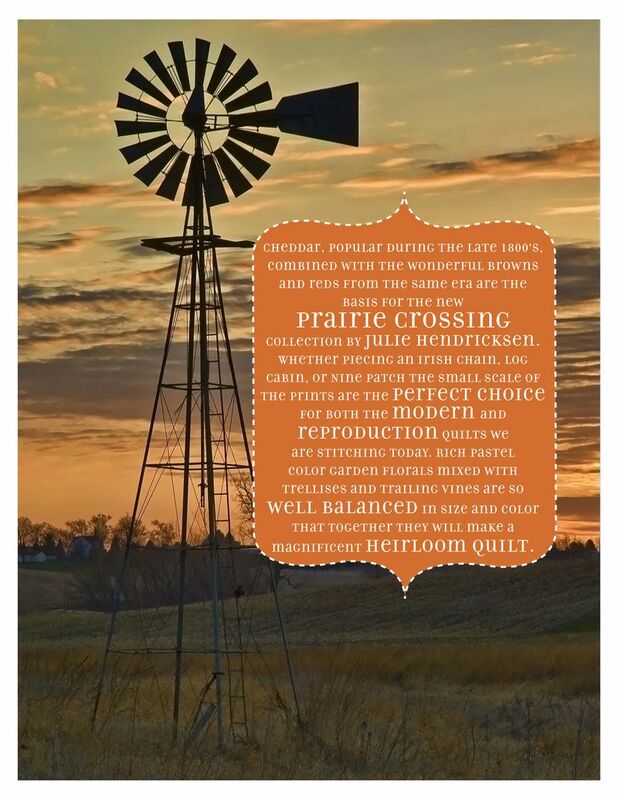 Prairie Crossing is Julie Hendricksen’s newest collection of beautiful reproduction shirtings. Each carefully selected design and pattern offers endless possibilities of use such as a blender or as a background. See how versatile these miniature patterns can be by using them as part of a larger quilt pattern or altogether in a scrappy quilt design. Julie Hendricksen is a designer, lecturer and owner of JJ Stitches, a fabric store that specializes in reproduction prints with a folky style. 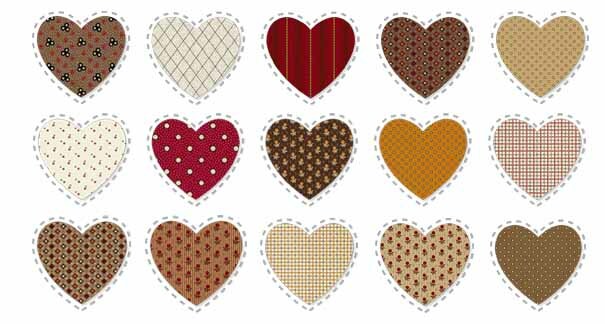 She has a love of reproduction fabrics and aims to offer a wide variety of shirtings and other small patterns to meet the needs of quilters with all interests. Prairie Crossing is in stores NOW so don't forget to contact your local sales rep or get hold of your favorite fabric stores! 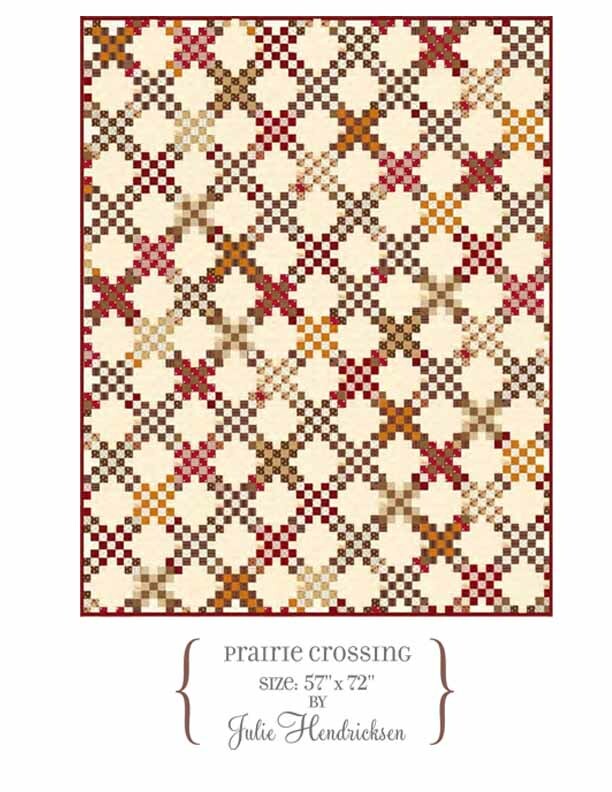 Enjoy Prairie Crossing and download this free project!